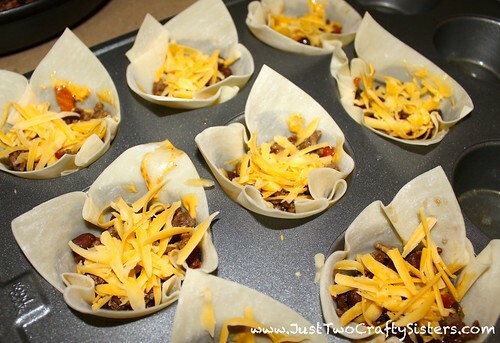 One of the best parts of Super Bowl Sunday is getting to try out fun appetizer recipes. 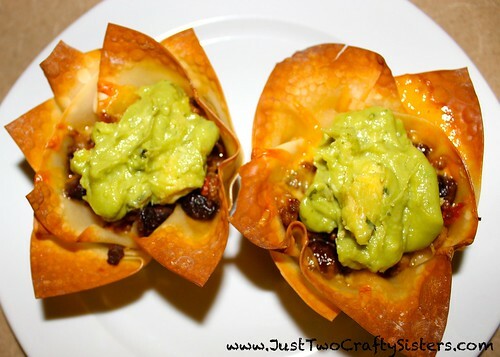 I had been waiting for an excuse to try and make taco cupcakes after seeing Emily Bites’ recipes on her blog. With a few tweaks to the recipe to suit my taste and utilize ingredients on hand, they turned out soooo goooood! 1. 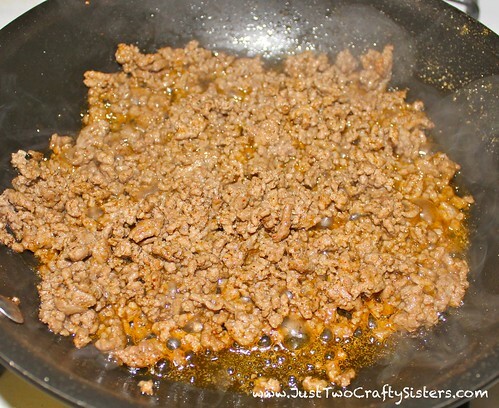 In skillet over medium/high heat, brown your ground beef. Season with cumin, garlic powder, season all, chili powder and cayenne while cooking. My seasoning measurements are just estimates, season to your preferred taste. Drain out 75% of the oil. 2. Add your black beans to the pan. Continue simmering for 3-5 minutes to incorporate the beans. Turn off heat. 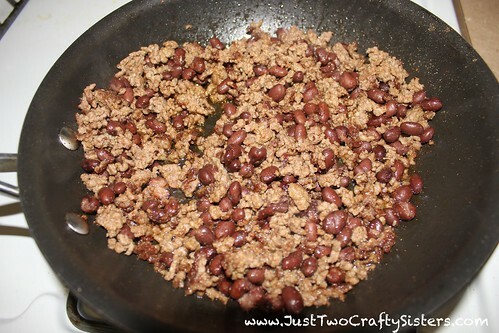 Add salsa to meat & bean mixture and mix to incorporate. 3. Preheat oven to 375 degrees. Spray your muffin pan with a coating of olive oil. 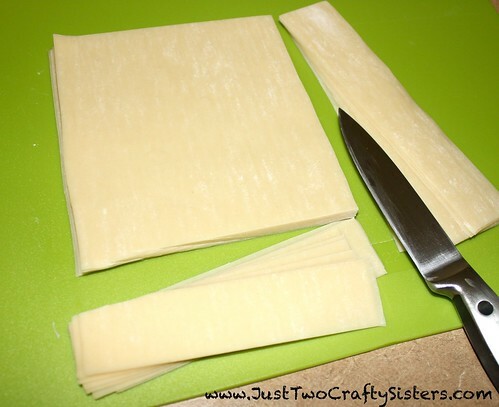 The won-ton wrappers I bought were made for egg rolls, so I quickly trimmed them into squares to fit correctly in my muffin tin. 4. Take one won-ton wrapper and lay it into the first muffin spot. Gently press it down to cover the bottom of the cup. Repeat in 7 more cups to make 8 total. 5. Spoon in a dollop of queso, spreading along the bottom of each cup. 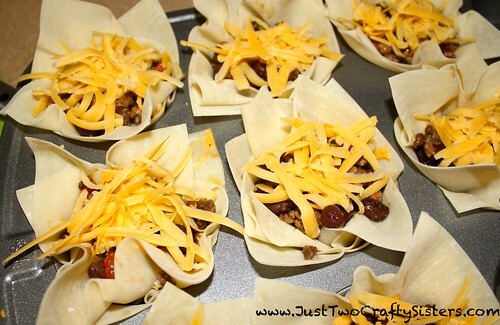 Layer in a scoop of the meat mixture and a sprinkle of cheddar cheese. 6. Add a second won-ton over the cupcake to make it a double-decker. 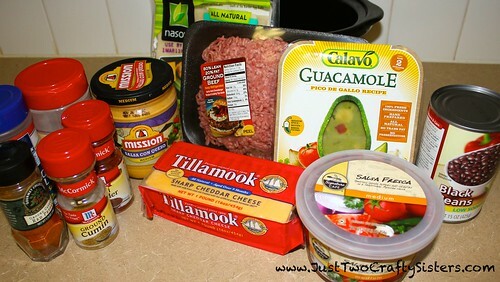 Repeat process of layer queso, then meat mixture, then cheddar cheese. 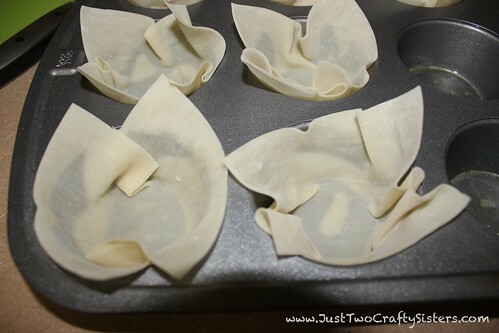 Spritz the edges of the won-ton wrapper with oil olive to help it crisp in the oven. 7. Bake for 18-20 minutes. Remove from oven and let cool for 5 minutes. 8. 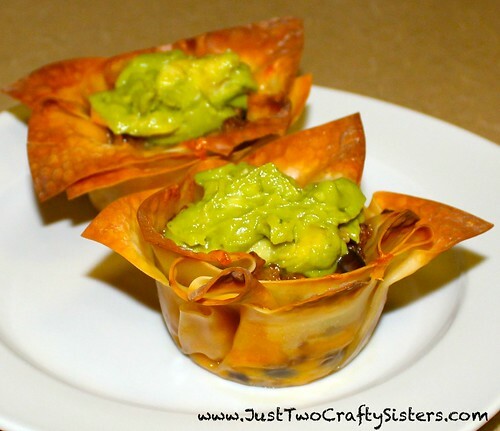 Remove from muffin tin and top with a dollop of guacamole. Enjoy! These cupcakes were so good and so filling. 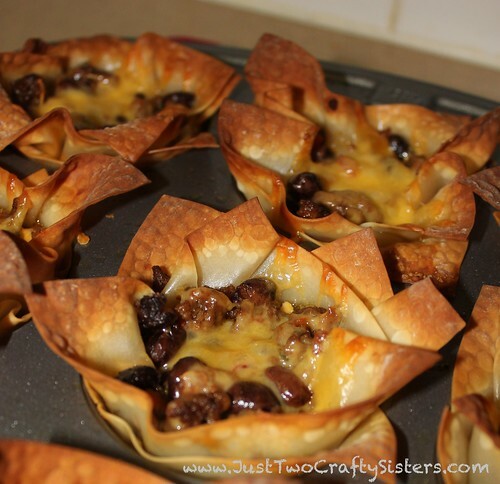 I think next time I make them as an appetizer I will try using the mini muffin pan though. They were so big it was more of a meal than an appetizer!